We arrive in Cornwall in St Ives for three nights at the fabulous Tregenna Castle Resort. Here we check in and relax ahead of dinner together. 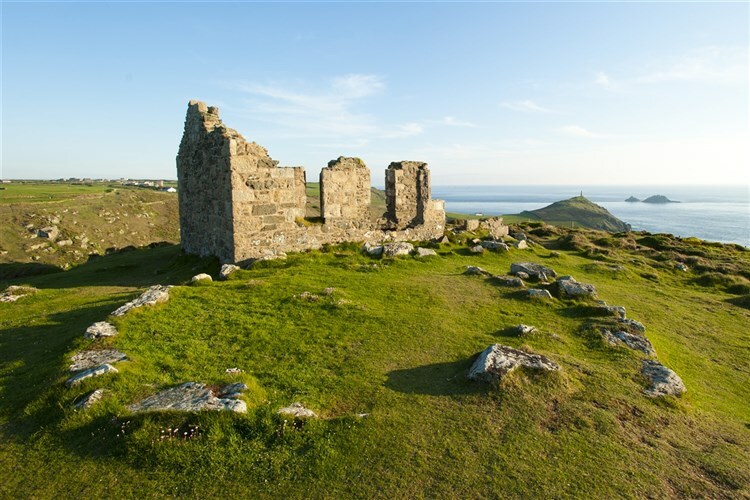 We begin our excursions by travelling through charming, unspoilt Cape Cornwall en route to Land's End, the westernmost point of Cornwall and England. 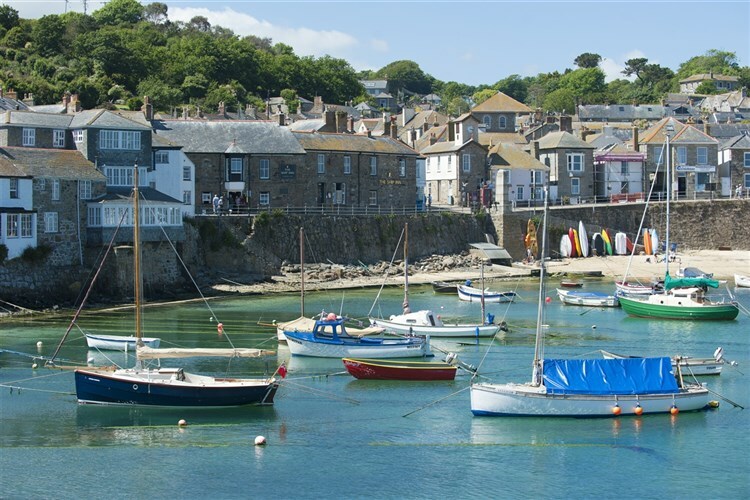 Our round trip then continues, calling in at the lovely fishing village of Mousehole, before returning to St Ives and Tregenna Castle. 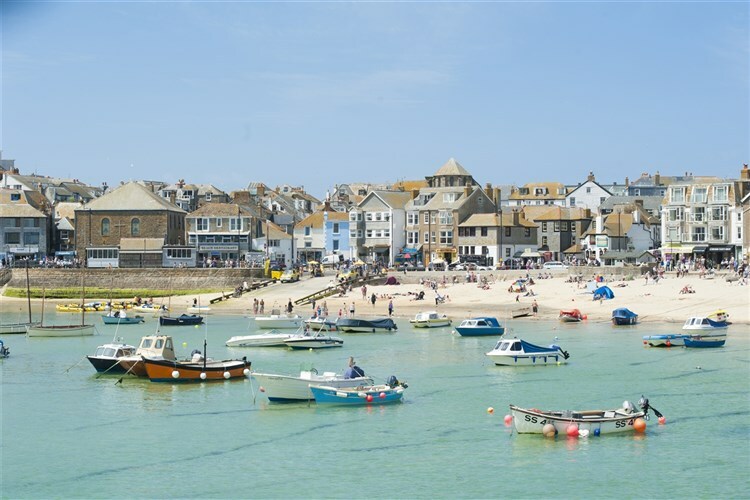 A leisurely day allows you to relax in the resort with its fabulous leisure facilities and picturesque grounds, or make the short journey into charming St Ives, with its scenic cove, lovely shops and Tate Gallery. A short transfer to St Ives station marks the beginning of our adventure northwards. Travelling in the class of your choice once we reach the main line, we cross through Cornwall into Devon, cruising by rail alongside the famous sea wall at Dawlish. Heading through the Southwest, we change trains at Birmingham New Street. 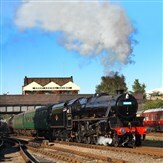 At Chester we transfer by road to our hotel just across the border in North Wales, Ruthin Castle Hotel. 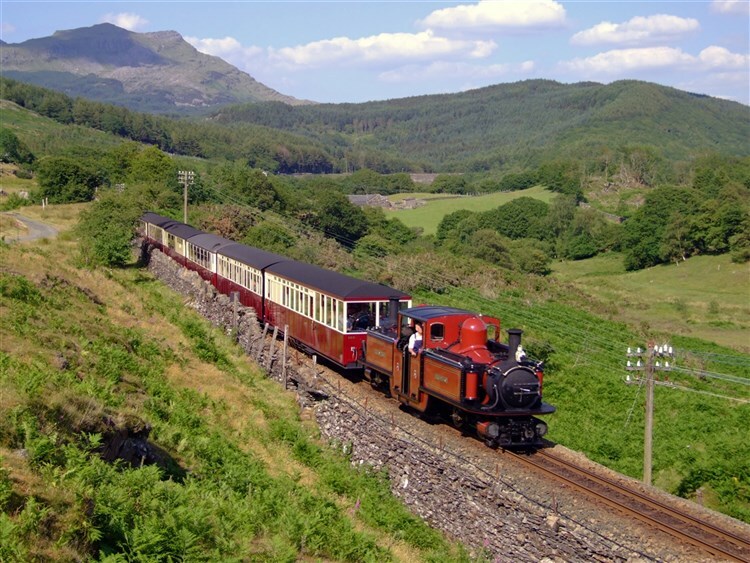 Our coach transfers us along the North Wales Coast to Caernarvon, where we board the magnificent Welsh Highland Railway for a steam hauled journey climbing into Snowdonia, twisting around forests to Beddgelert and through the much treasured beauty of the Aberglaslyn Pass. 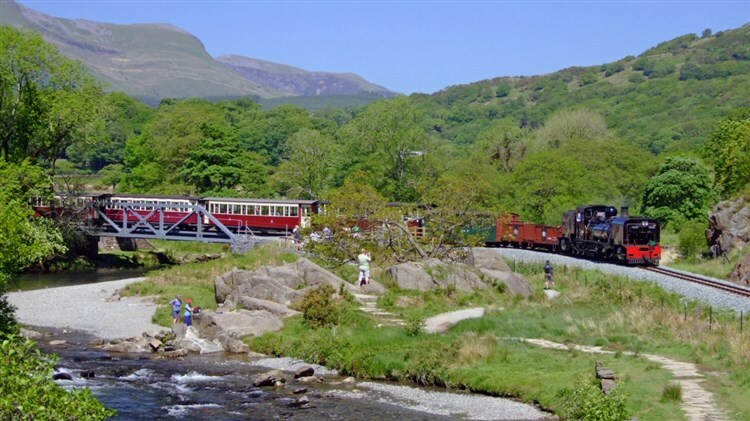 At Porthmadog we enjoy some free time for lunch before we embark on the Ffestiniog Railway for a narrow gauge steam adventure, climbing inland to the unique landscape of Blaenau Ffestiniog. 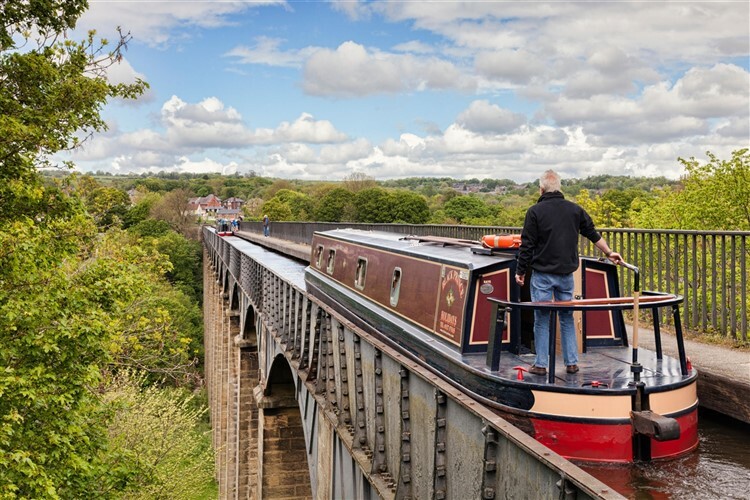 We make the short journey by road to the Llangollen Canal, where we take a breathtaking aerial cruise across one of the 'Seven Wonders of the Canals', the spectacular Pontcysyllte Aqueduct. 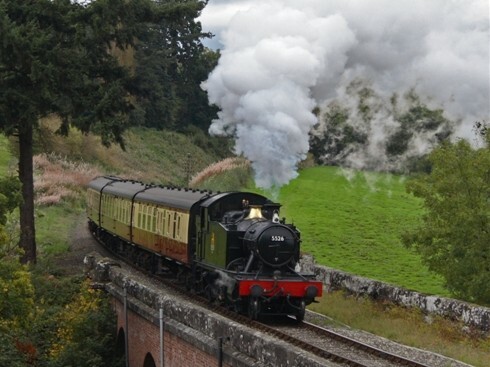 Crossing 126 ft above the River Dee, it is the highest and longest aqueduct in Britain and a World Heritage site. We continue to Llangollen for a little free time to look around the delightful town before a heritage diesel train ride along the beautiful Dee Valley. Transferring back to Chester, our journey north continues in the class of your choice via the West Coast Mainline into Glasgow. 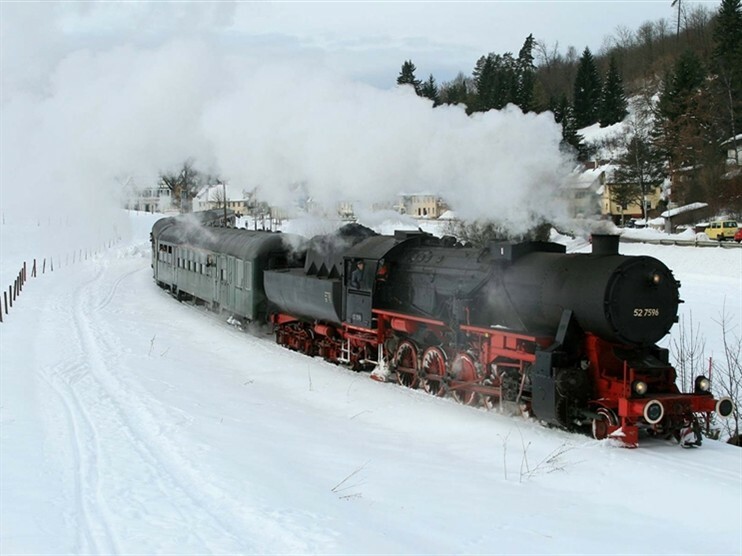 Here we continue in Standard Class on the first section of the West Highland Line, dubbed one of the world's greatest railway journeys. 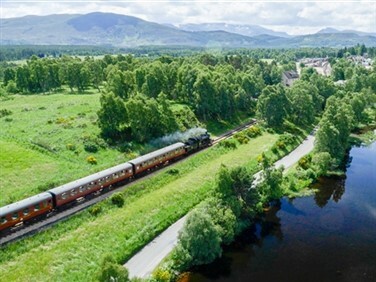 The first part of the journey is dominated by wonderful watery landscapes, as we skirt the Firth of Clyde, Loch Long and Loch Lomond, before climbing into the western Highlands to Bridge of Orchy, where we spend two nights at the beautifully renovated Bridge of Orchy Hotel. 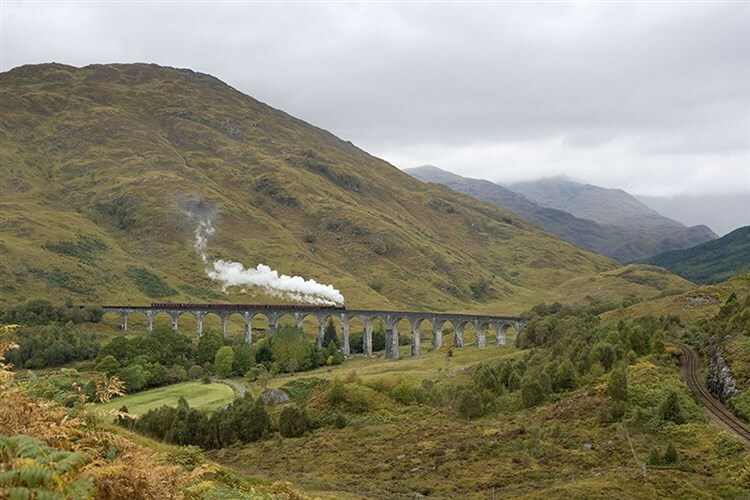 We transfer to Fort William to join the famous 'Harry Potter' Jacobite steam train to Mallaig. Glenfinnan Viaduct, Bonnie Prince Charlie's monument and Loch Shiel are viewed before bursting out onto the Atlantic coastline of golden white sands with distant views of Rhum and Eigg. Enjoy time in Mallaig with views across the sea to Skye. 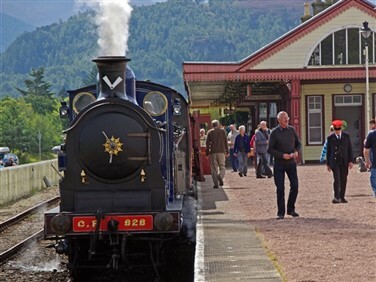 Leaving Bridge of Orchy behind, we transfer through the dramatic Great Glen, alongside serene Loch Ness, on our way to Inverness for a three night stay at the Palace Hotel. 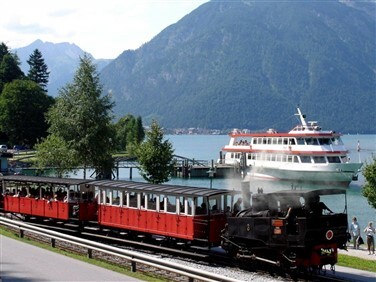 The original of Michael Palin's Great Railway Journeys of the World, the Kyle Line to Kyle of Lochalsh, awaits today. 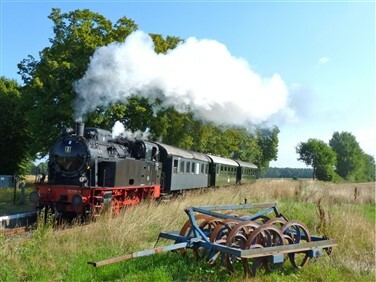 Another journey of a lifetime, the Kyle Line connects Scotland coast to coast across great mountain plateaux before the wonderful coastline emerges, with Skye's brooding Cuillin Mountains in the distance. 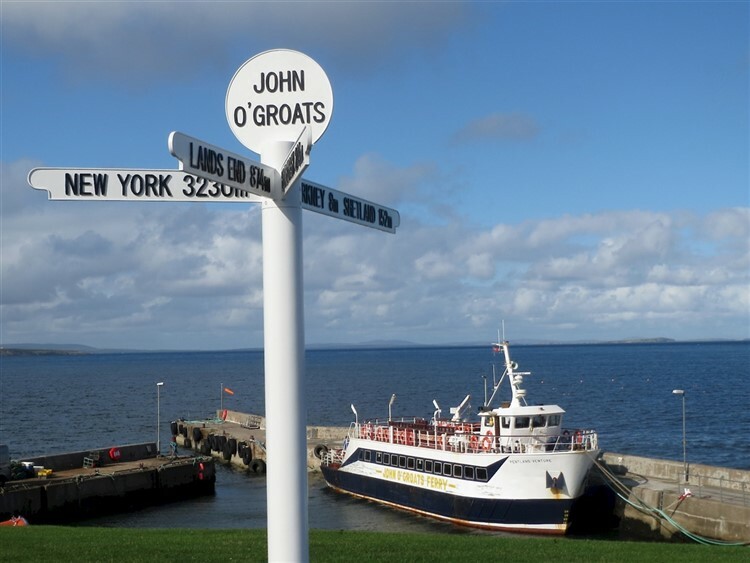 Our final excursion completes a wonderful coast to coast odyssey, travelling northwards through stunning coastal Sutherland and into Caithness for a visit to John O'Groats, the furthest inhabited place on mainland Britain from Land's End, which lies some 876 miles away. Today we also visit a traditional Highlands distillery before returning by road to Inverness to reflect on a tour crossing three countries between the two farthest points, with a host of new and exciting experiences in between. Our grand tour concludes as we make our homeward journeys, our cameras filled with coast to coast adventures. A 4* hotel and resort with a fabulous range of facilities, including heated outdoor pool, indoor pool, Jacuzzi, steam room and sauna, plus tennis, badminton and squash courts and even an 18 hole golf course. Tregennas Woodland Walk through some of its 72 acres is also a great place to unwind amidst nature. Steeped in history, having welcomed royalty and nobility, Ruthin Castle is a beautiful rustic woodland retreat amidst acres of parkland within the Clwydian Range. Situated on the West Highland Way, overlooked by mighty Beinn Dorain mountain, the recently renovated Bridge of Orchy Hotel occupies a position of remote, untouched beauty. 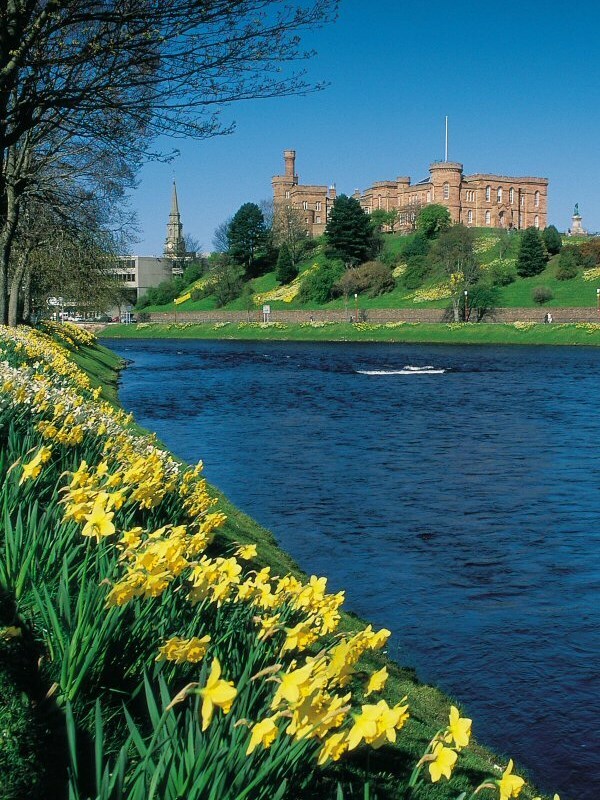 Railtrails original hotel and still in the programme 35 years later, the Palace overlooks the River Ness, a short stroll from the city centre.